Global Turbine Manufacturer Doubles Storage Capacity with Mobile Racking. A global manufacturer of gas and wind turbines outgrew their manufacturing and testing facility in Greenville, NC. Without any room left for storage, they had to store turbine manufacturing parts and equipment in an indoor space they could find—even in compressor rooms. The operations and facilites manager received and email about ActivRAC®, and learned he could take 300 positions, and turn those into 680 or 690 positions—essentially doubling storage capacity, while still having a 1 to 1 relationship with pallets. 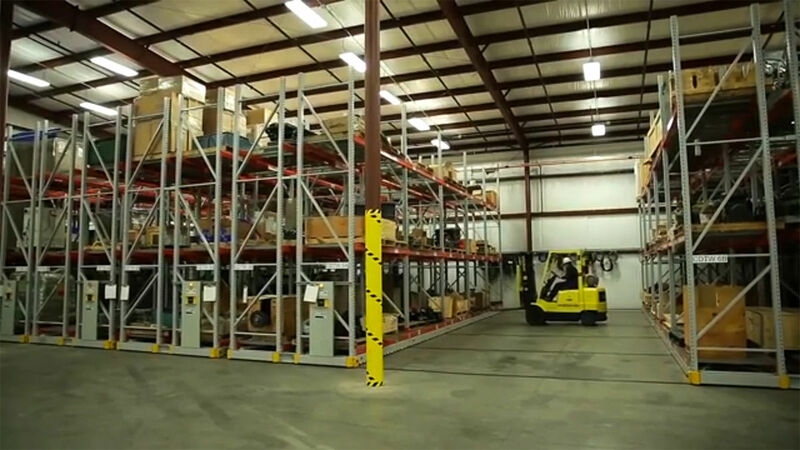 Unlike regular selective storage solutions, his team has immediate access to every pallet in seconds—without having to add any additional square footage. The warehouse team now has immediate access to any pallet. This ActivRAC install has been so successful that the team already has plans to add another 50 pallet positions. The best part is still having a 14-foot aisle and not worrying about forklifts. Plus, ActivRAC runs without any real instances of maintenance.